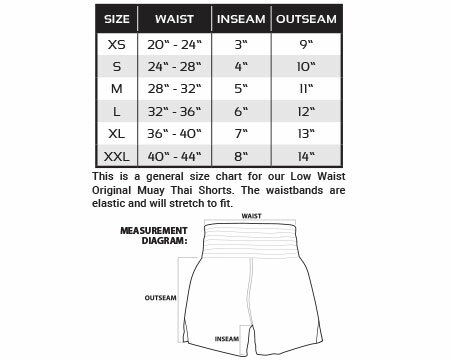 Everything about these Thai Original Low Waist Muay Thai Shorts says clean and comfortable. From the jet black design to the ventilated sides, these shorts will set you apart. You'll love the shorter waistband and higher slits that differentiate these from other Thai shorts. The quality and craftsmanship put into these is top-notch. These are built to last and super comfortable. You will love training and competing in these! And check out the rest of the Thai Original line from Revgear to complete the ultimate training look.